Unsurprisingly, a close game between the Yankees and Red Sox drew an impressive audience. 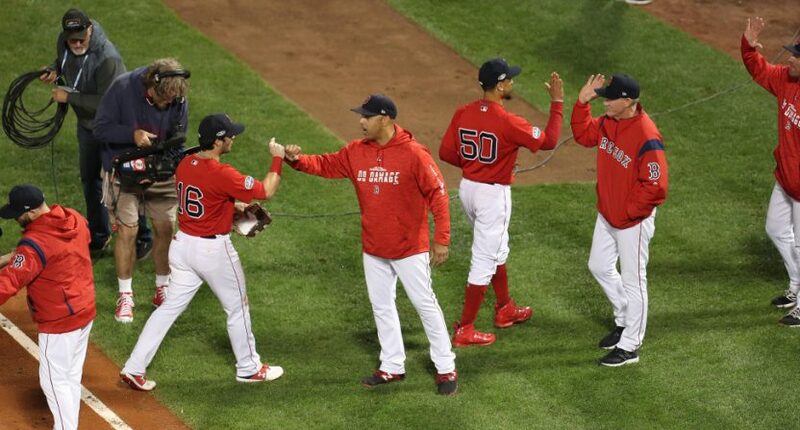 Last night’s Yankees/Red Sox ALDS Game 1 on TBS propelled the network to win the night across all of cable television, based on overnight ratings, and generated the most-watched LDS Game 1 since 2010 (averaging 5.6 million viewers, per Nielsen Fast Nationals). TBS’s Yankees/Red Sox telecast – peaking with an average of 6.6 million viewers from 8:45-9 p.m. ET – is up 59% over the comparable LDC Game 1 in the same telecast window last year (Cubs/Nationals). Last night’s Yankees/Red Sox telecast also delivered significant double-digit growth across all key demos including a 51% increase in People 18-49 and 37% in People 18-34. Overall, TBS’s ALDS Game 1 doubleheader viewership is up 17% vs. last year’s NLDS coverage on TBS & 14% over the ALDS Game 1s in 2016 (based on P2+). Those are certainly impressive numbers, and they may just be the first of many for the Yankees-Red Sox series. Especially if further games wind up being as close as Friday’s game was.